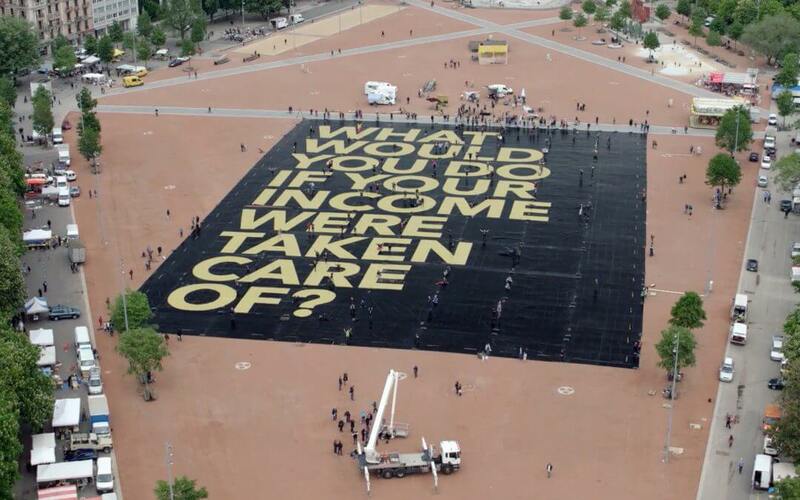 The Swiss Referendum, attention from governments around Europe, growing civil society support, mainstream media coverage – 2016 could go down as the breakthrough year for the basic income movement worldwide. Let’s celebrate that! Beyond that, a growing number of political parties and movements are coming out in favour of basic income, with celebrities like high tech guru Elon Musk, the former Greek minister of finance Yanis Varoufakis or outgoing US-President Barack Obama voicing their cautious to outspoken support. We at Unconditional Basic Income Europe (UBIE) have been doing our best to build on this wave and put the basic income debate on the political agendas in Brussels and throughout Europe. We organised three meetings attended by basic income activists from across the continent: Maastricht in January, Hamburg in May and Madrid in October. In July, some of us participated in the Basic Income Earth Network (BIEN) Congress in Seoul, South Korea. Our meetings were important opportunities to share information and develop our Europe-wide projects. These include: a possible new EU-wide petition or citizens’ initiative, a partial basic income for all EU citizens (the Eurodividend), mobilising EU-funding for basic income pilot projects in the increasing number of regions that want to do them, or the idea of basic income for people in the food and farming sector. We have also compiled a submission to the European Commission’s public consultation on the ‘European Pillar of Social Rights‘, and recently found support for the idea of basic income at a recent conference on ‘The Future of Work We Want’ co-organised by the European Economic and Social Committee (EESC) and the International Labor Organisation (ILO). All these activities are really stretching the capacities of the numerous volunteers working in UBIE. To be able to sustain and professionalise our efforts, we launched a fundraising appeal on OpenCollective. With your support, we hope to cover our running costs, further develop our projects and help more activists attend our meetings. Please chip in whatever you can! And our last request for this year – besides being happy about all the above achievements – is to mark a weekend in your calendars: Our next UBIE network meeting will take place in London, March 25/26, 2017. Watch this space, our website, our Twitter feed or our Facebook page for details!